I think I have tried almost every Mexican restaurant here in London. The bottom line is: I can make better Mexican food at home. So why not? Salsa and guacamole are so quick and easy to make, full of fresh ingredients, each bursting with their own distinct flavor. After having spent so much time eating Mexican food in California, I know exactly what I like and how it should taste. So through memory and trial and error, I have perfected my recipes to suit my taste buds. The amazing thing is, once you have fresh, good quality ingredients, it’s quite simple to make. Smoked chipotle peppers are key, as is fresh coriander and great tasting cumin powder. I hope you enjoy these recipes as much as I do. 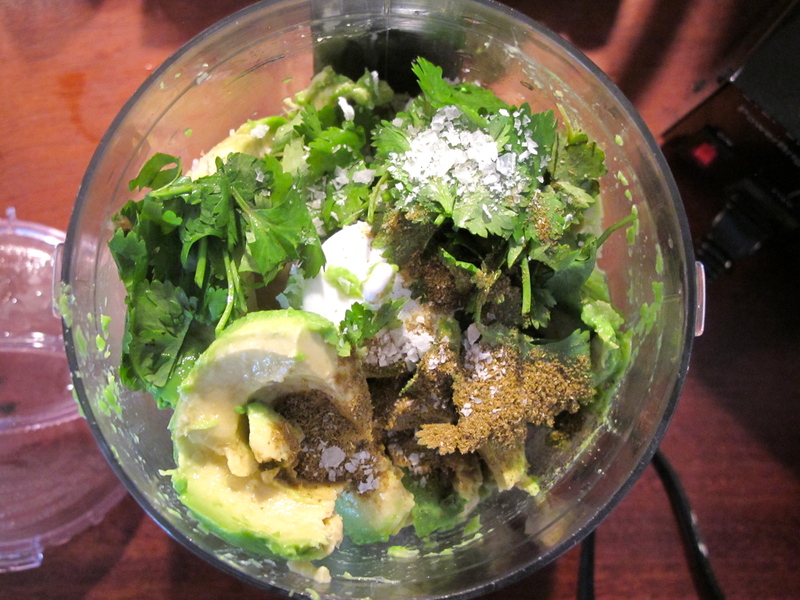 You will need a mini food processor for this. The salsa and guacamole are a one pot dish, therefore they take about 2 mins to make and clean up is a snap! Chop the peppers and zucchini into match sticks about 3 inches long. 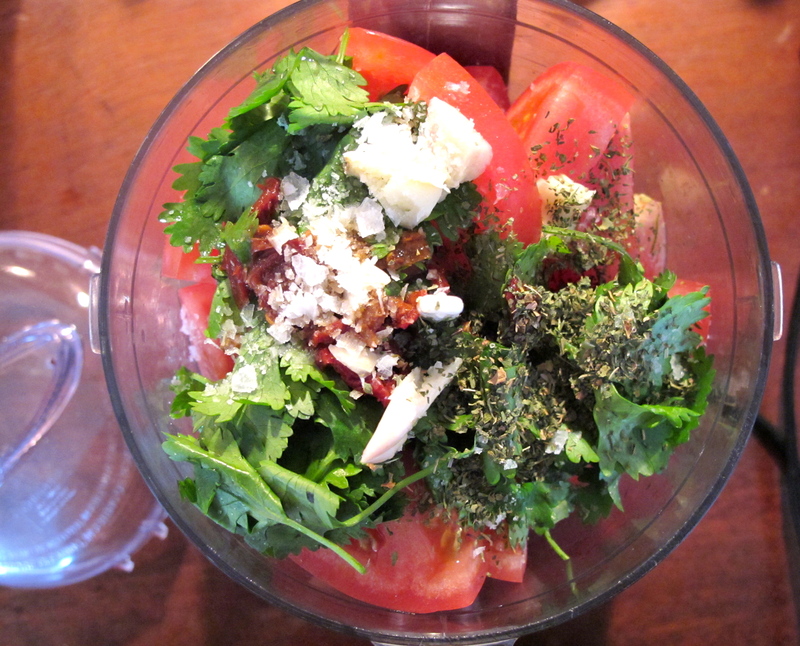 Place in a large bowl with the minced garlic, spices and drizzle with olive oil. Toss to coat thoroughly. In a pan over medium high heat, sauté the veggies until al dente, about 6 min, tossing frequently. 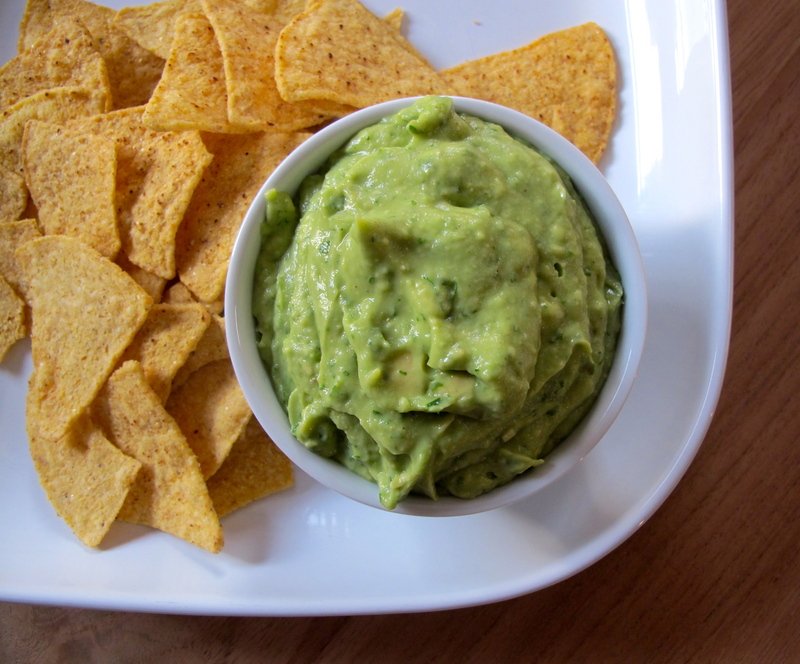 In the food processor add all of the guacamole ingredients and blend until relatively smooth, a little bit chunky, or if you prefer creamy and smooth all the way. Give the bowl a quick rinse under hot water and repeat with the salsa ingredients. 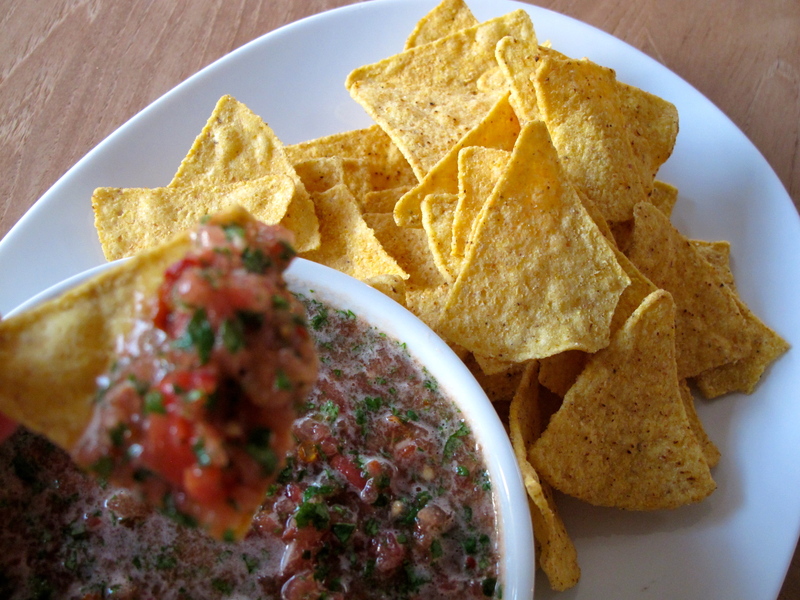 Blend until somewhat smooth, “salsa” consistency. The salsa will have a bit of liquid as the tomatoes weren’t de-seeded. I personally like it this way, but to each his own, so if you prefer less liquid simply pour the salsa into to a strainer and strain the liquid out. 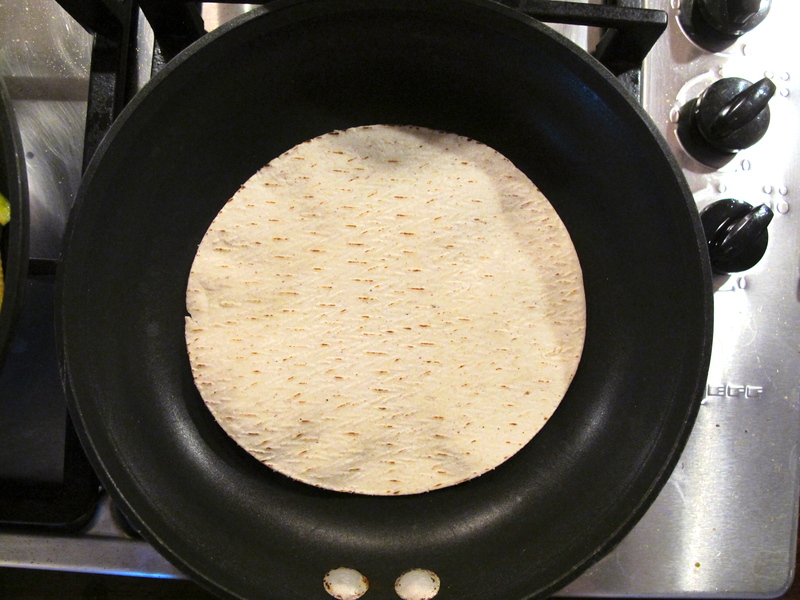 In a small pan over high heat, place the tortilla shells and cook for about 30 seconds on each side. No need to oil the pan. Homemade, fresh, healthy and delicious. Why settle for less than the best at a mediocre restaurant (and pay for it) when you can simply make it yourself, exactly how you like it? Nothing can be more satisfying than that. Enjoy! 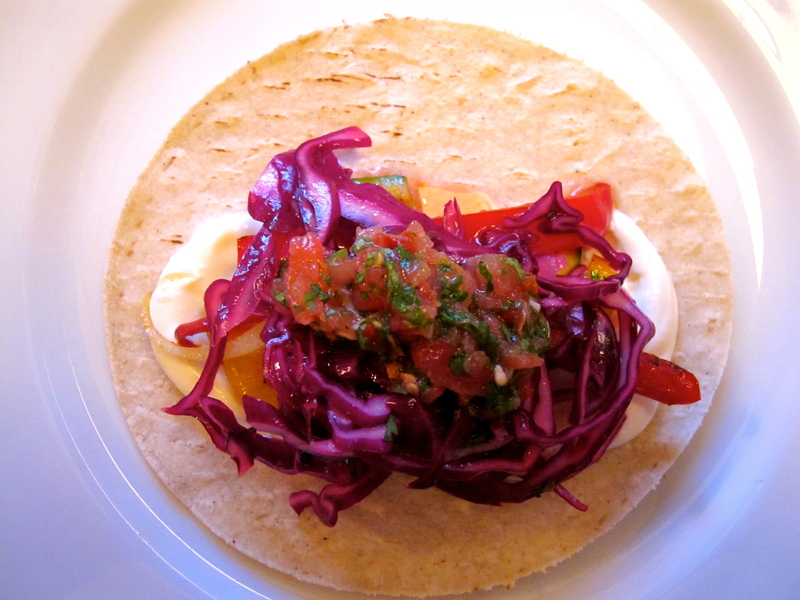 This entry was posted in RECIPES, Uncategorized and tagged dinner, guacamole, healthy, mexican, model diet, salsa, Vegetarian, veggie on August 27, 2013 by Kelly O'Dell.